Those who get the title of my post, A+ for you. 🙂 I have shared my affinity for beets in the past. So guess what? Costco is selling fresh beets in their refrigerated section. They are fully cooked and peeled…ready to eat! I was so happy when I found them. I have straight-up been eating them at work as part of my lunch for the past few days. No salad, just beets. I’m insane. I know. Anyway, hope you all are doing well. Today was Monday and it just felt like…it was dragging. I’m starting a new thing that I might regret. I don’t feel tired in the morning so I started drinking coffee right after lunch. It helps to keep me alert in the afternoon but it’s like 10 pm now and I still feel alert. This may need some tweaking but I do like that I felt alert all day today. Crazy yah. Anyway, I took some pictures of the beets! I think a container comes with about 12-16 beets and it costs $6.29 – I think that’s a great deal! 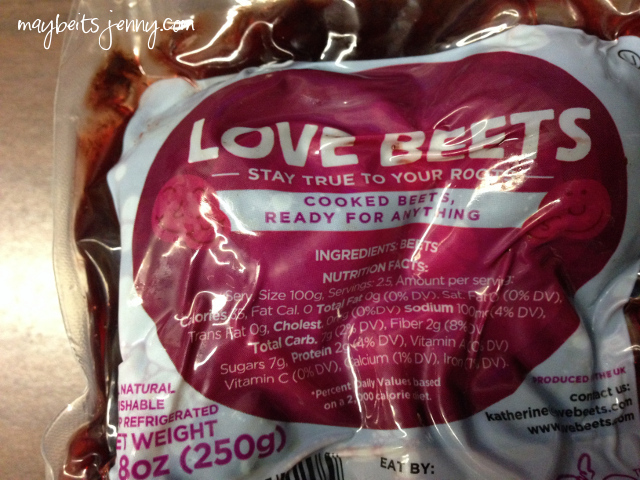 We all know what a pain it can be to prepare beets – I’ll pay for it this way anytime! Oh by the way, they have a pretty long shelf-life since each package is vacuum sealed! 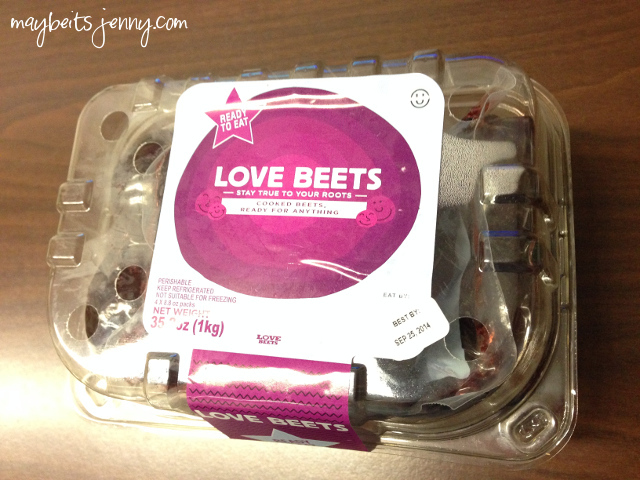 This entry was posted in Food, Snapshot and tagged Beets.